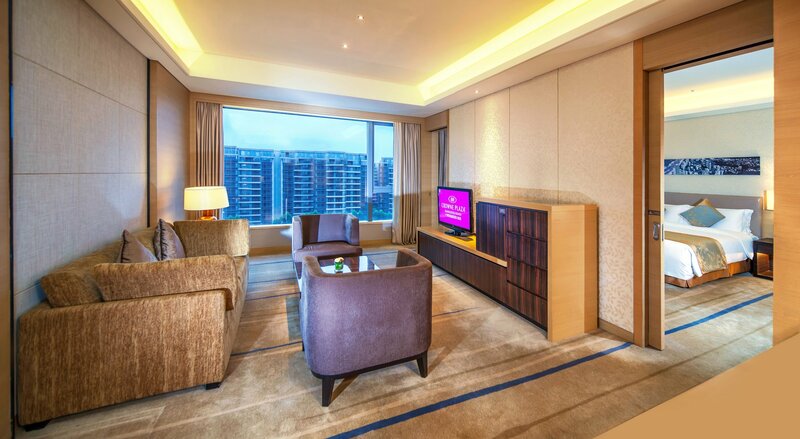 Crowne Plaza Guangzhou Huadu is a high-end international hotel managed by InterContinental Hotels Group, hotel is located in the heart of Guangzhou Baiyun International Airport Zone and conveniently located atop Qingtang Station of MTR Line 9 and within one minute walk to exit D of Qingtang station. 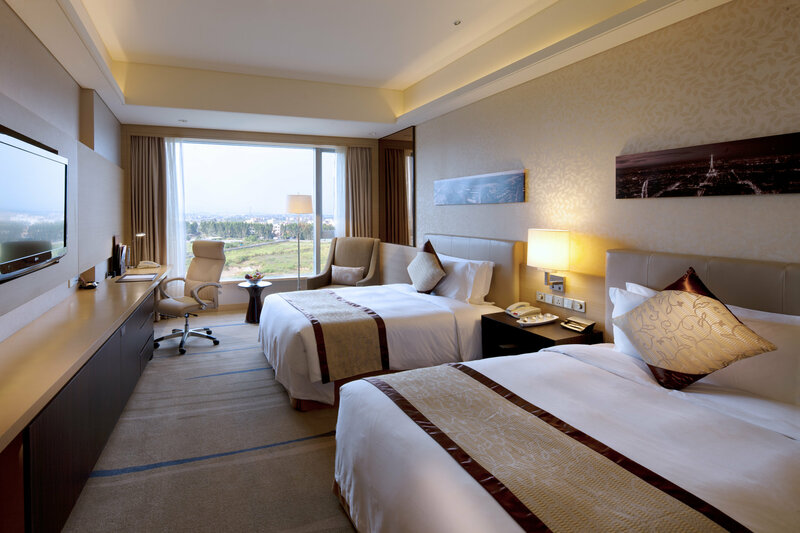 Hotel is just 2 stop away from the airport and it only takes 10-minute drive to the airport and Huadu District central hub, 40-minute drive to downtown Guangzhou and Pazhou International Exhibition Centre. 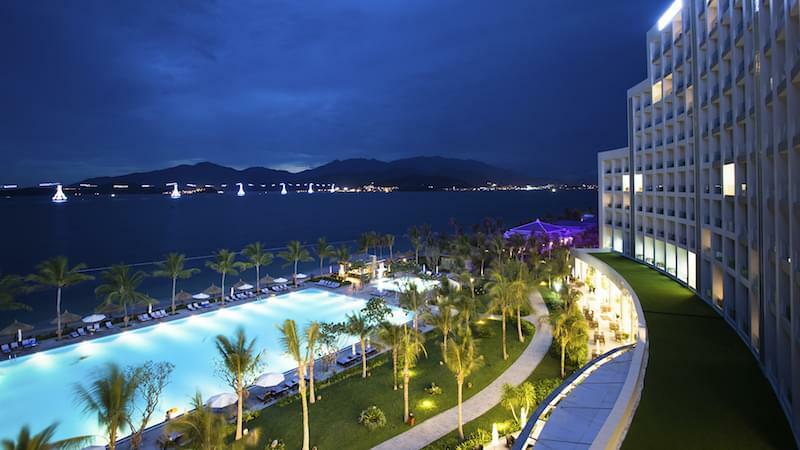 During Canton Fair period, we provide scheduled shuttle bus between hotel and Pazhou International Exhibition Centre. 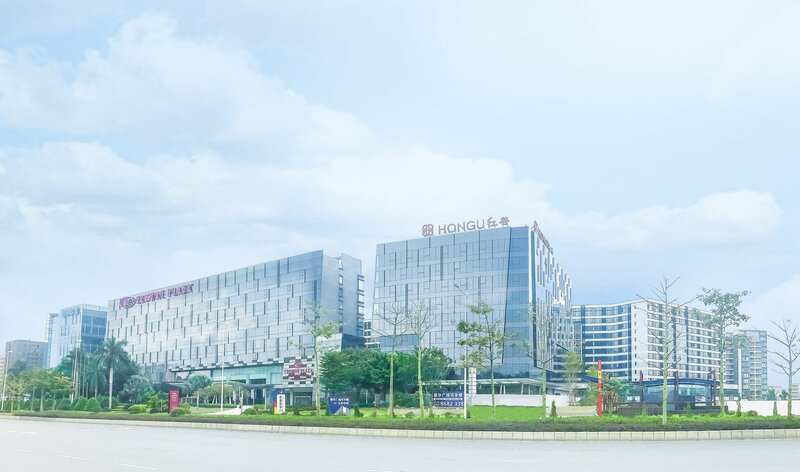 In addition, we offer scheduled shuttle bus service between hotel and Guangzhou Baiyun International Airport (Gate No.20 of T1 South Departure Hall and Gate No.43 of T2 Departure Hall) from 05:00am to 00:30am. 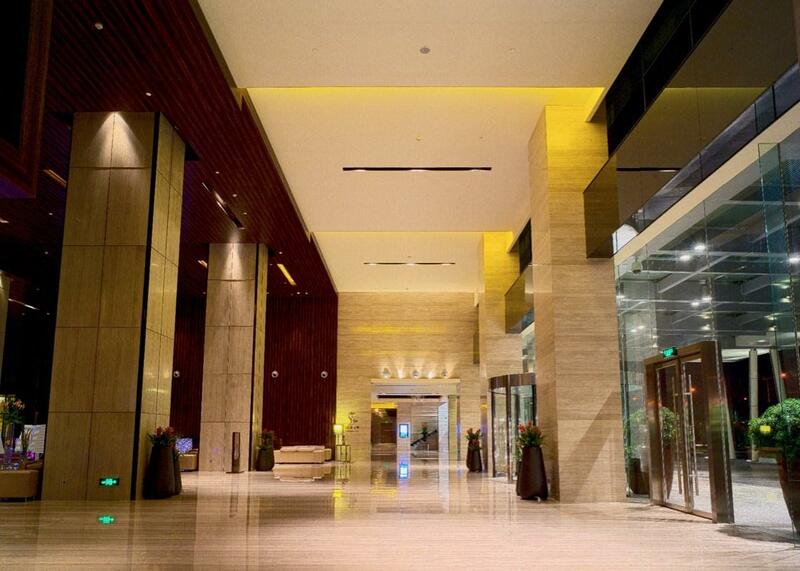 For more details of shuttle bus service, please contact our Guest Service Centre at +86(20) 3690 0888. The hotel offers 299 comfortable guest rooms, including suites and a Crowne Plaza Club Floor designed to meet the needs of today's business traveler. The state-of-the-art fitness centre and outdoor swimming pool offer guests a great place to release stress with an invigorating workout or to simply relax and enjoy their leisure time. 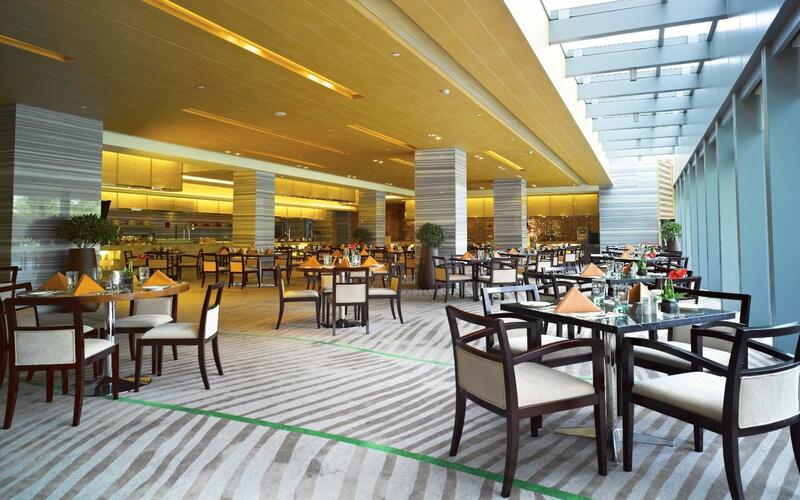 Guests can enjoy a fantastic dining experience in one of the hotel's restaurants and bar venue, each providing a delicious offering of culinary delights. 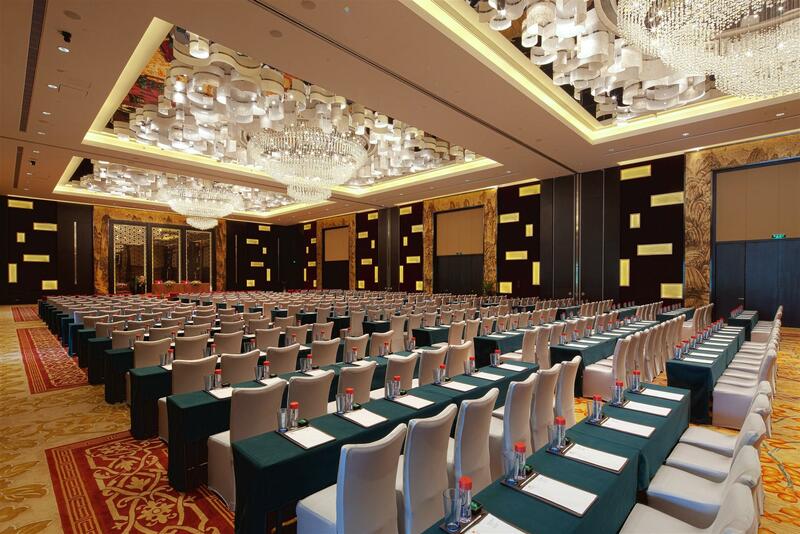 With seven multi-function meeting rooms and a magnificent Ballroom with 1100 squre meters, Crowne Plaza Guangzhou Huadu offers excellent options for all types of events.